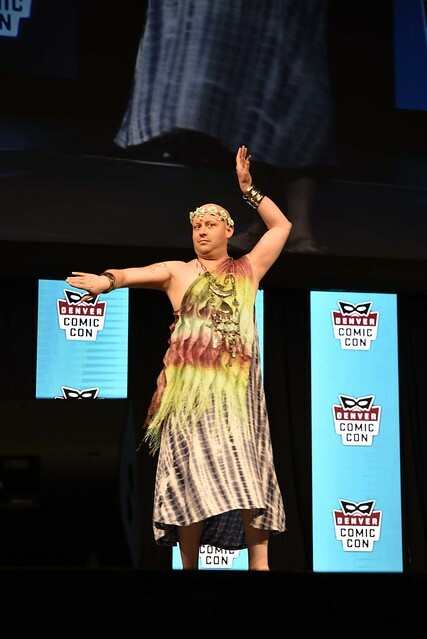 Everything for the costume fan. 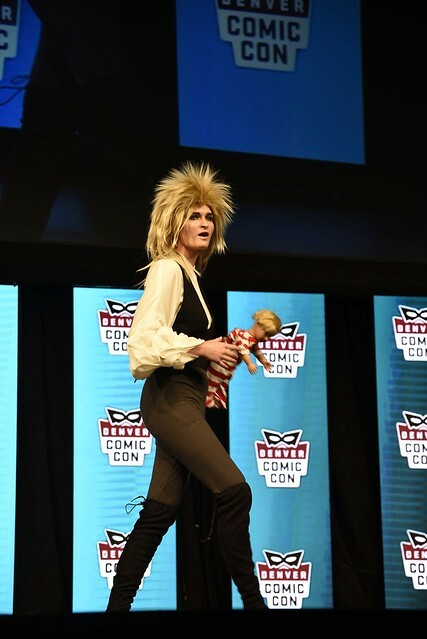 All in one place. 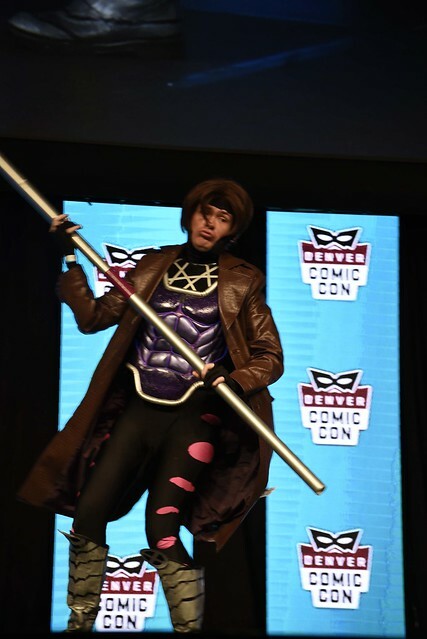 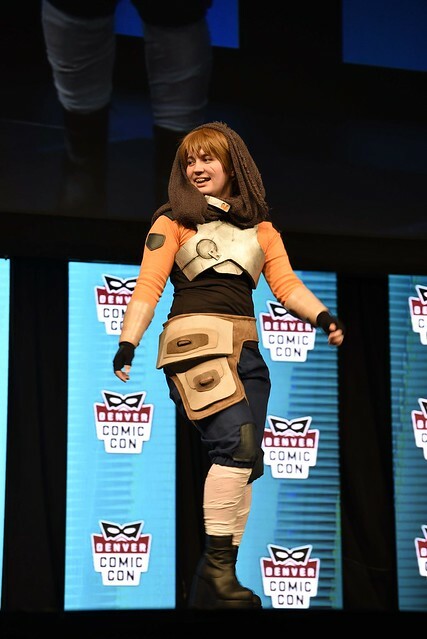 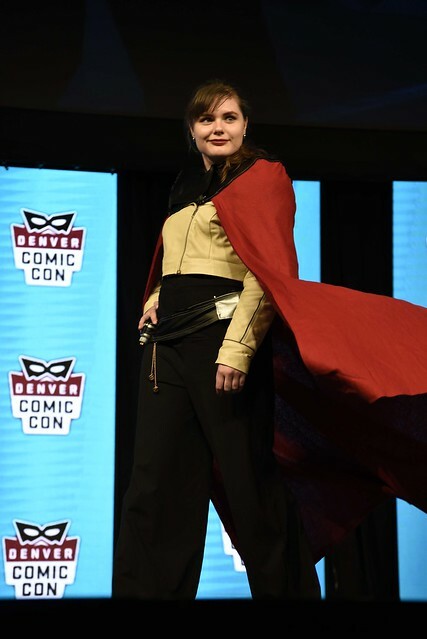 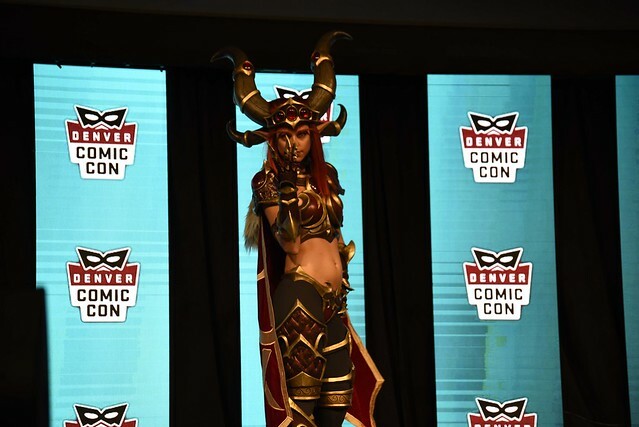 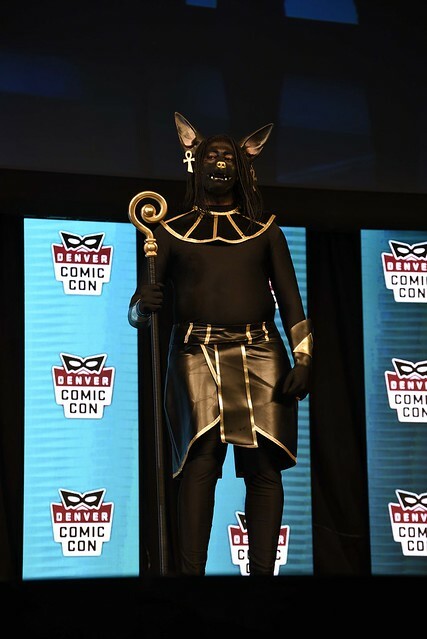 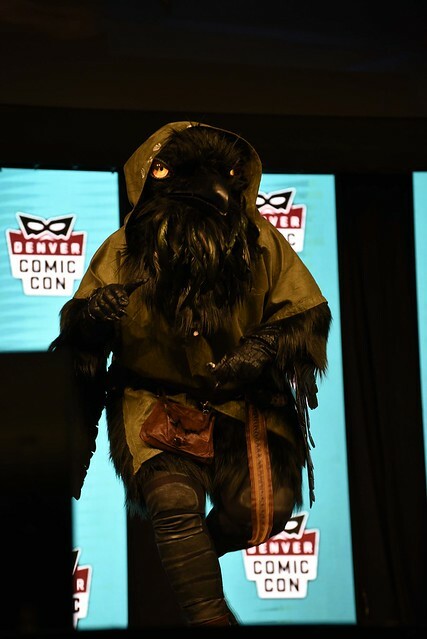 Denver Pop Culture Con is your one-stop-shop for displaying, admiring, and learning how to build costumes, props, and accessories and the pinnacle of this costuming fun is The Costume Celebration! 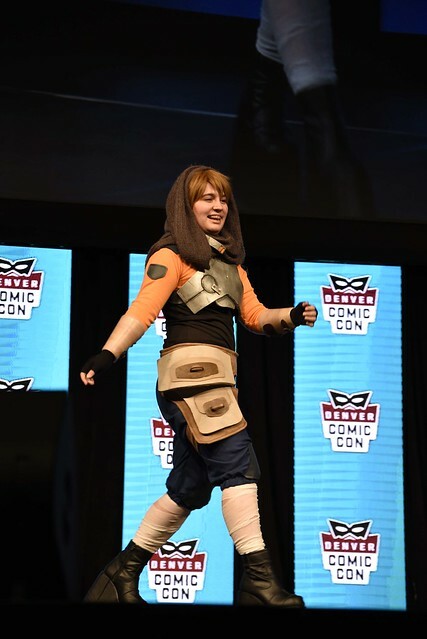 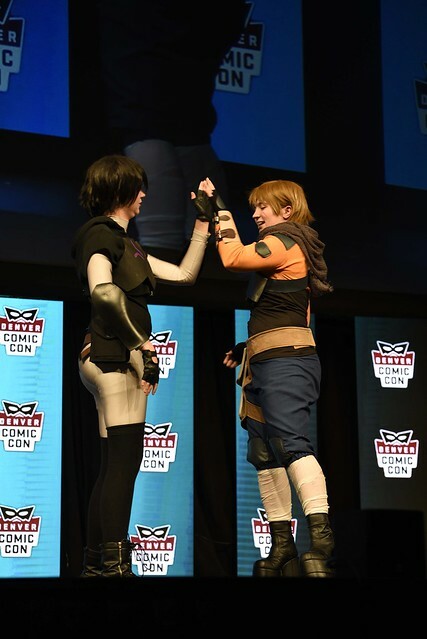 This event is open to everyone, especially kids, and is intended to celebrate the creativity, enthusiasm, and excitement of costuming; our goal is to showcase the diversity of cosplay and give attendees a platform to appreciate and show off their work, regardless of their skill level, fandom of choice, interpretations, age level, and orientation. 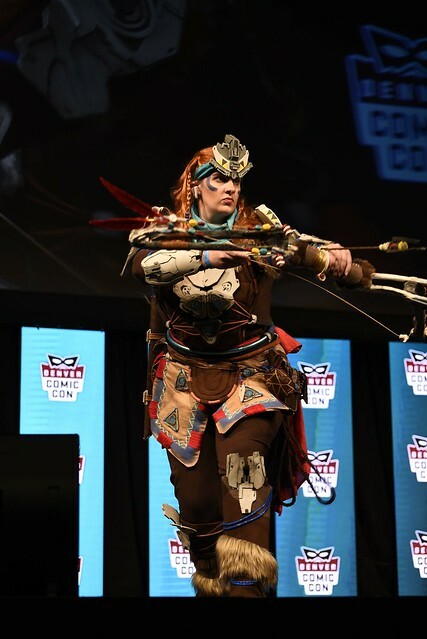 The Costume & Cosplay Showcase is DPCC’s celebration of the creativity, excitement, and individuality of our amazing costumers. 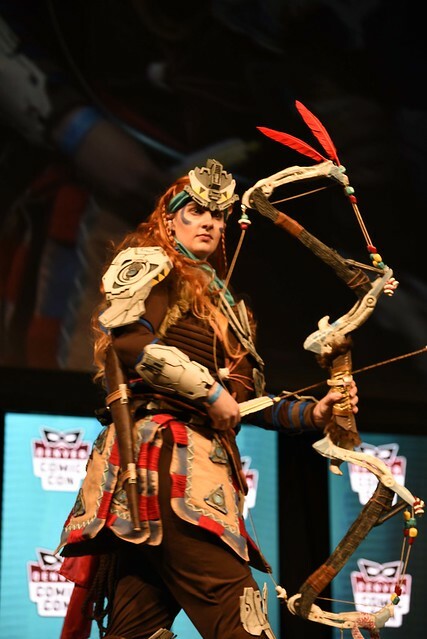 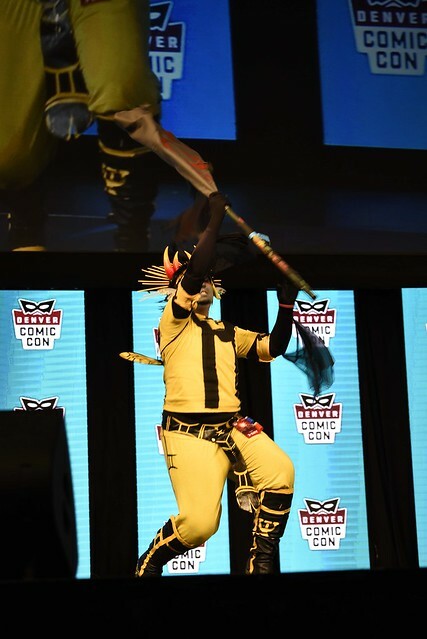 Regardless of one’s skill level, age, fandom, or budget, the Showcase is the place to show-off what makes your costume or cosplay, uniquely you! 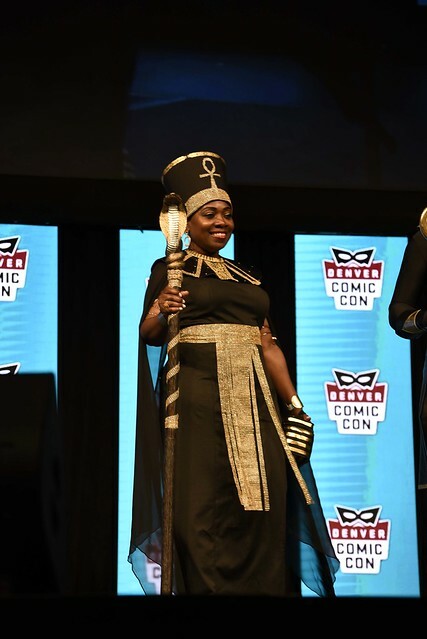 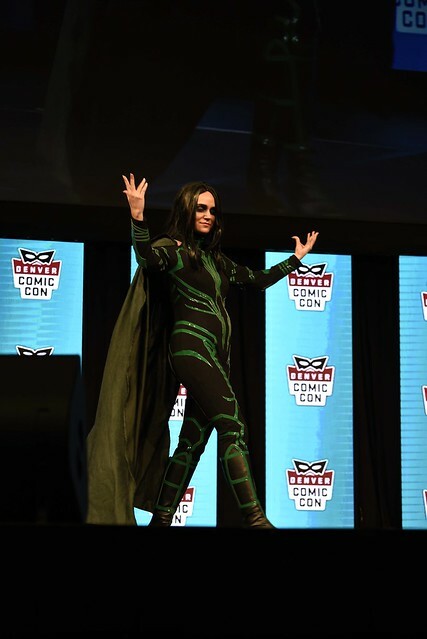 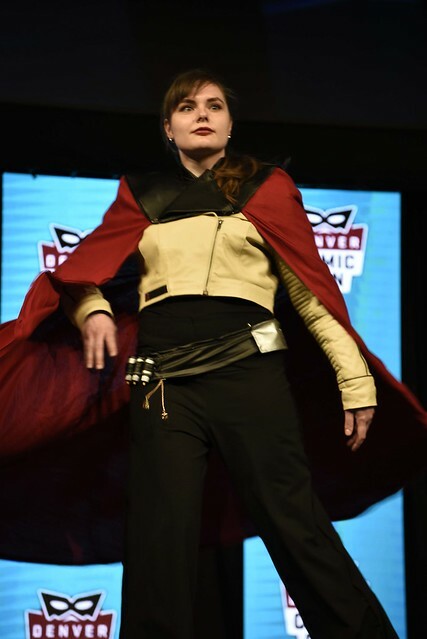 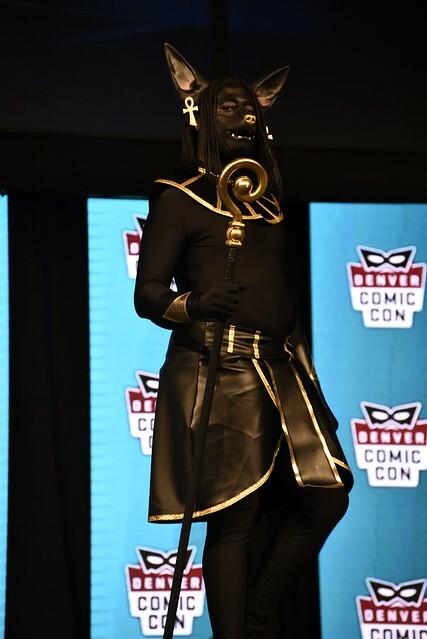 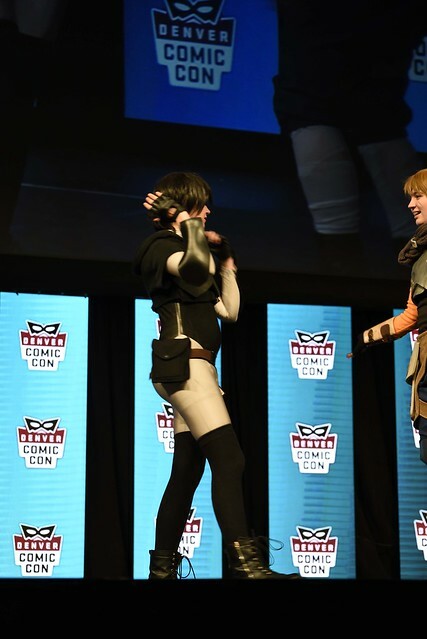 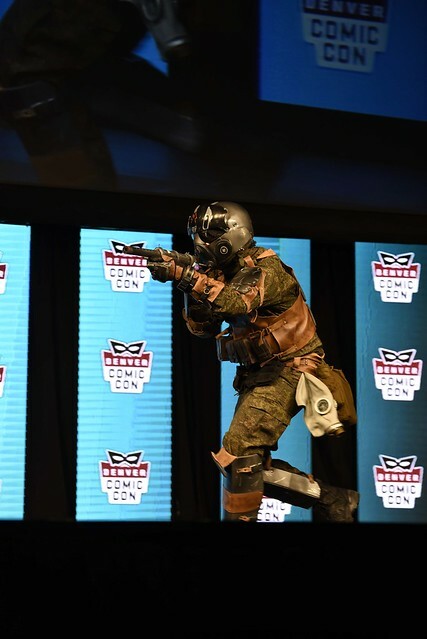 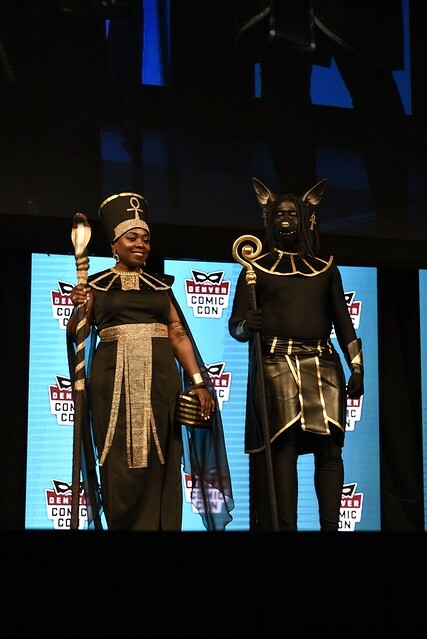 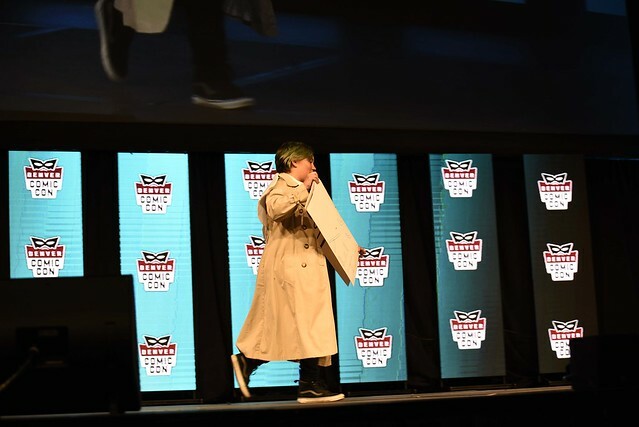 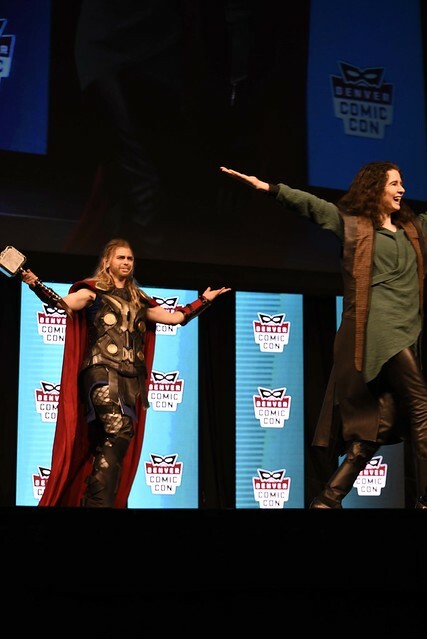 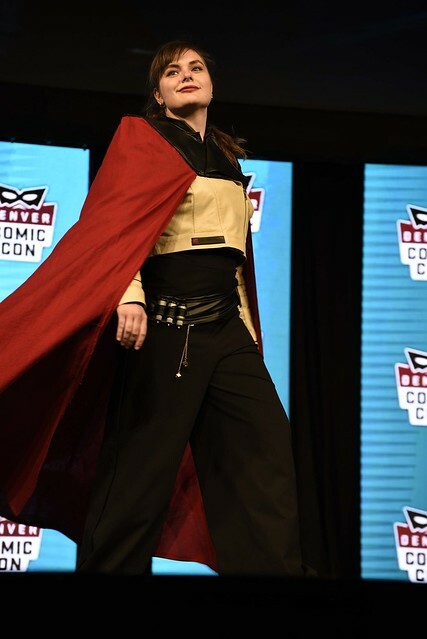 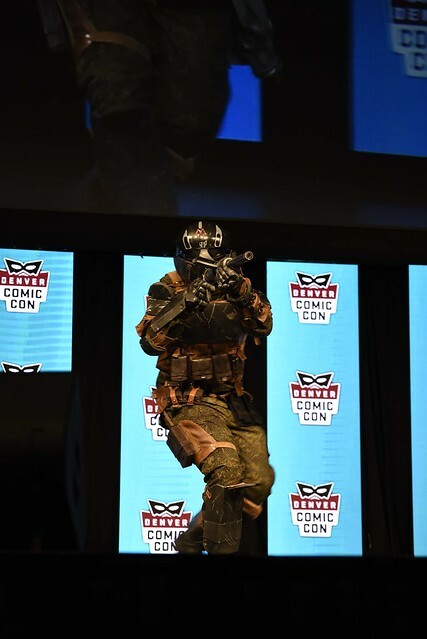 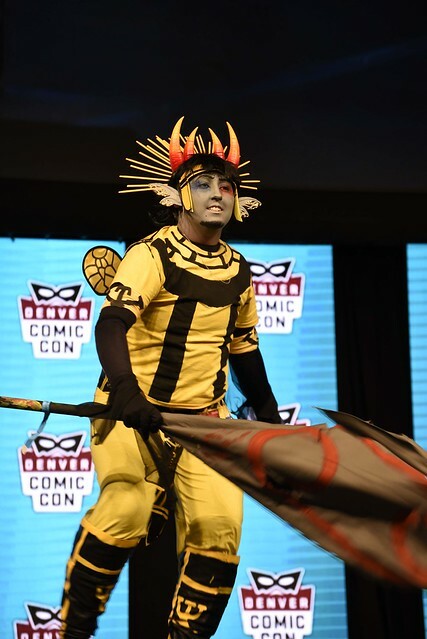 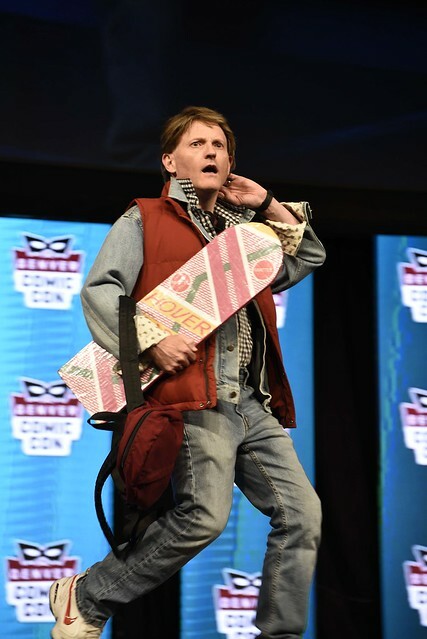 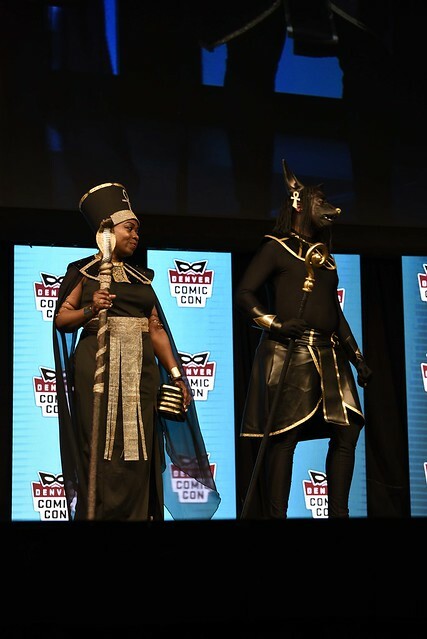 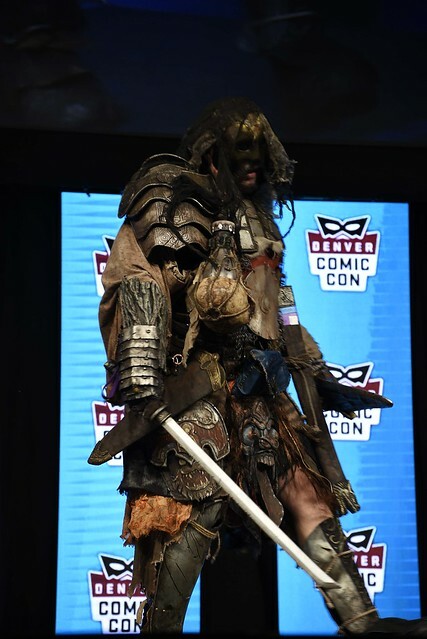 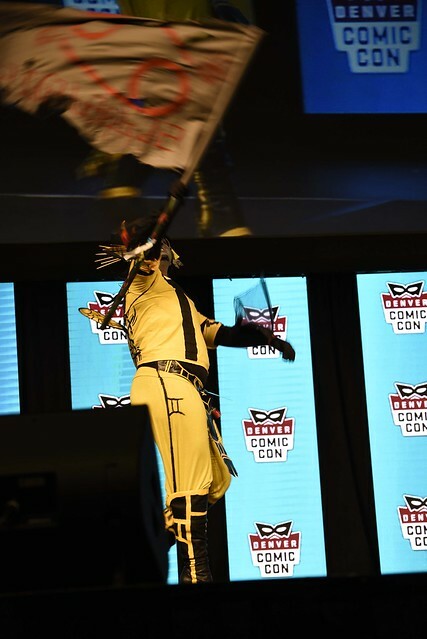 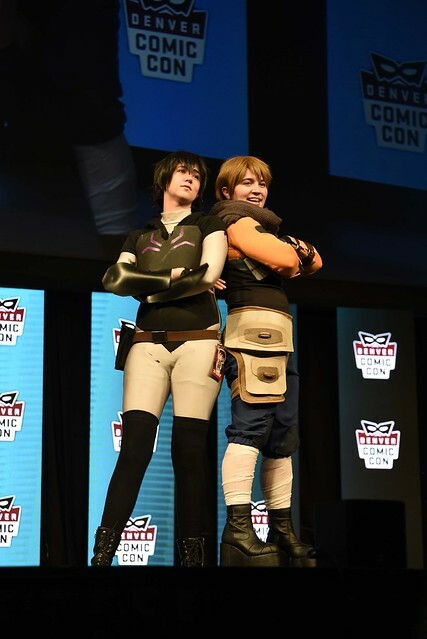 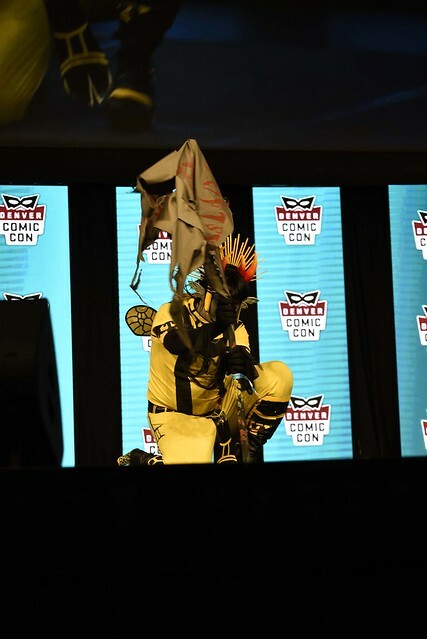 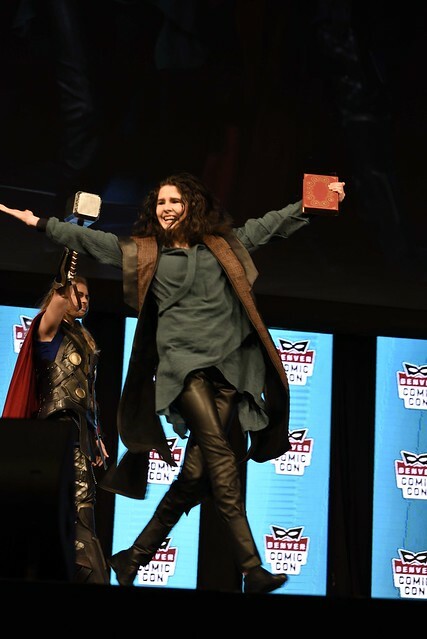 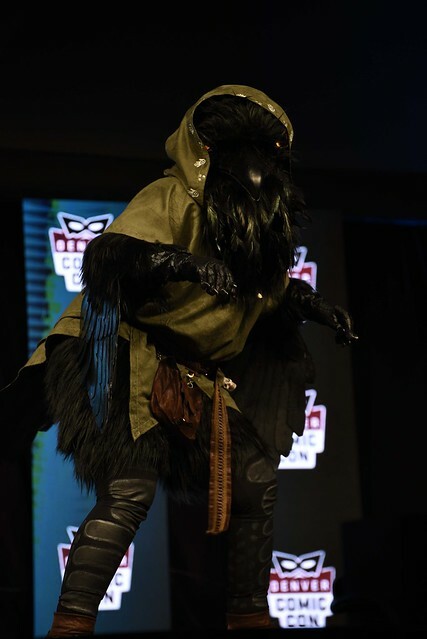 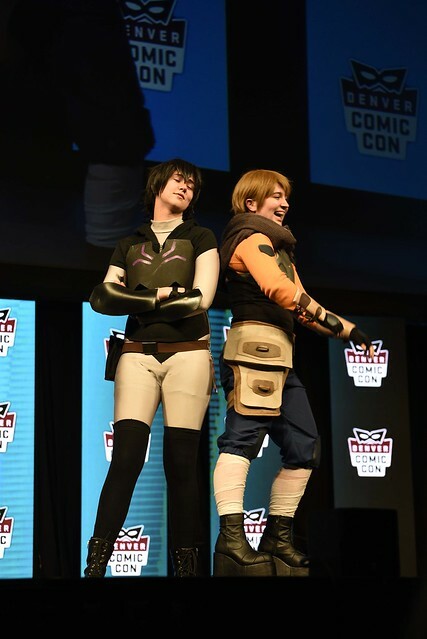 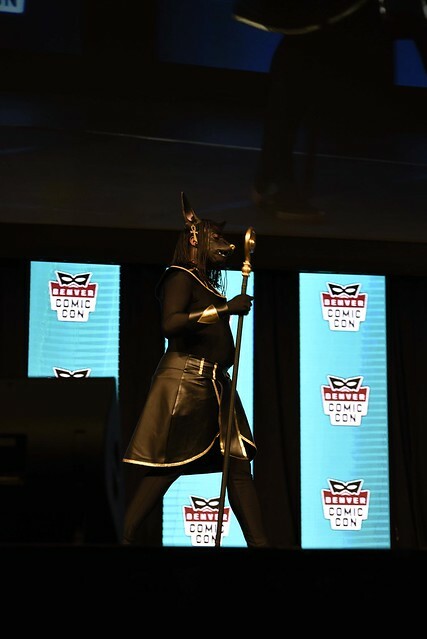 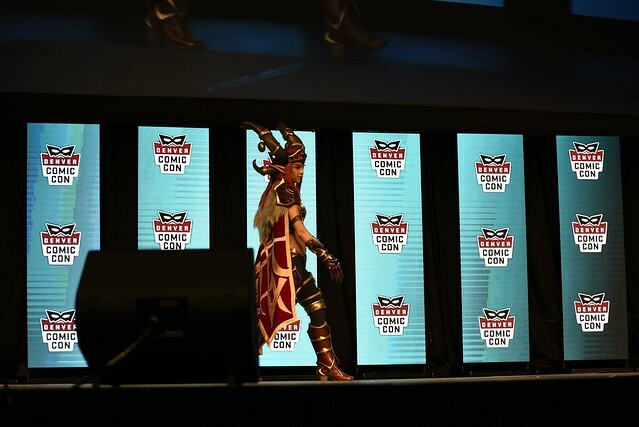 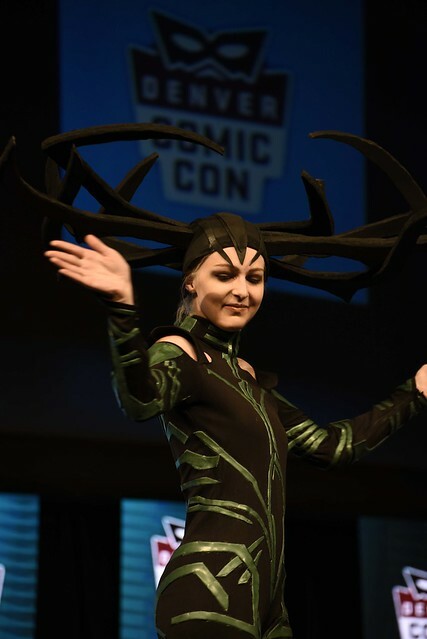 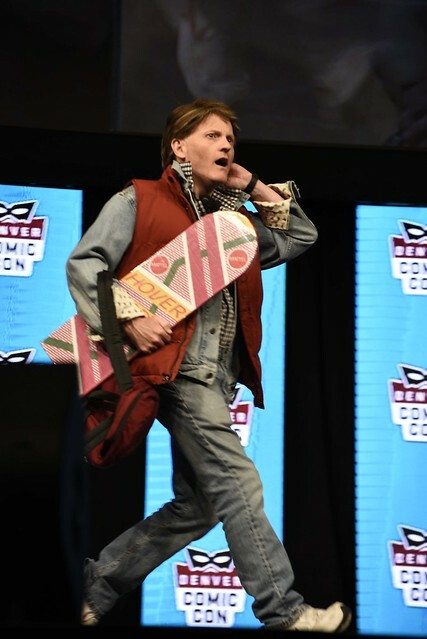 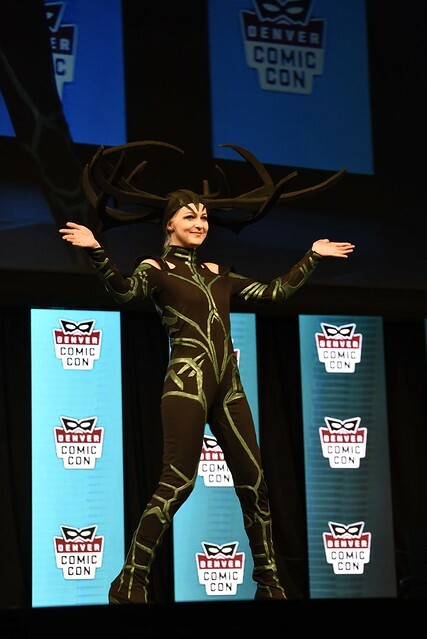 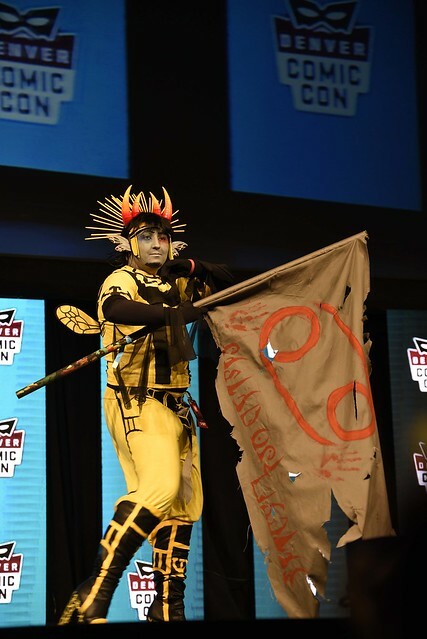 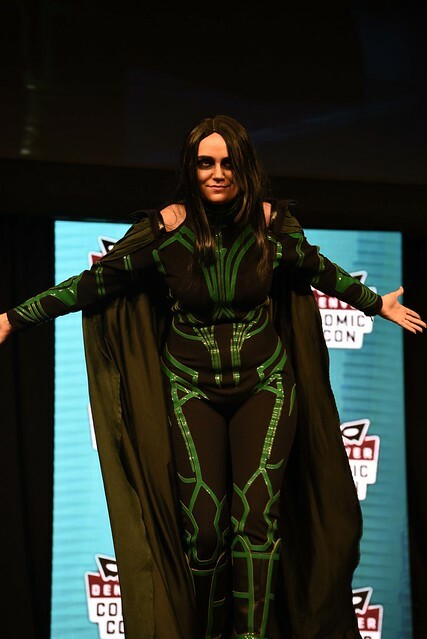 While there are awards associated with the Showcase, the priority of the Costume Celebration is to provide attendees and participants with an opportunity to applaud and admire their costumes and fandoms. 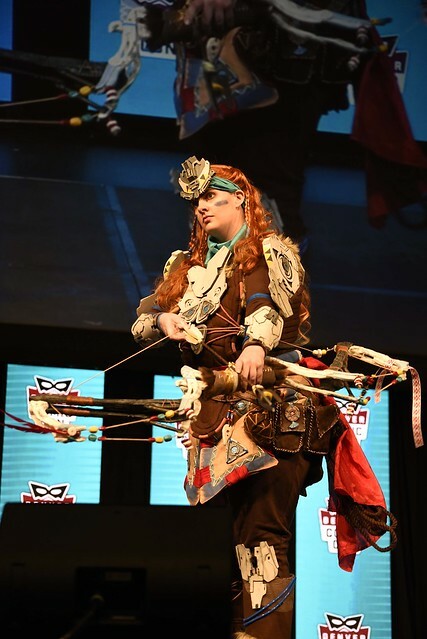 The Showcase does not include any form of craftsmanship judging nor are there bracketed prizes; individual judges may present specific “Judge’s Choice” awards, and attendees will vote for the 2019 “Showcase Showstopper”. 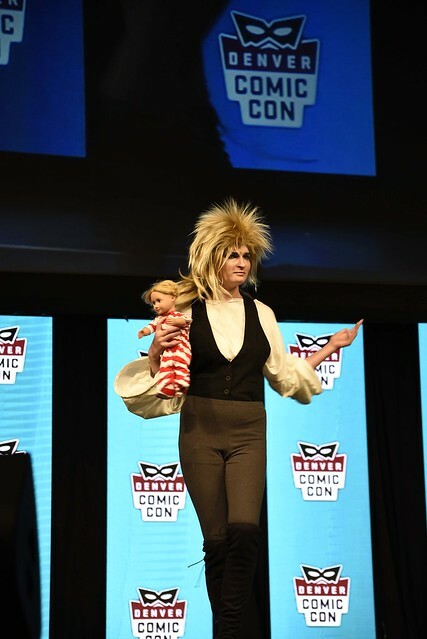 The Kids’ Extravaganza is a kaleidoscope of kid-friendly fun. 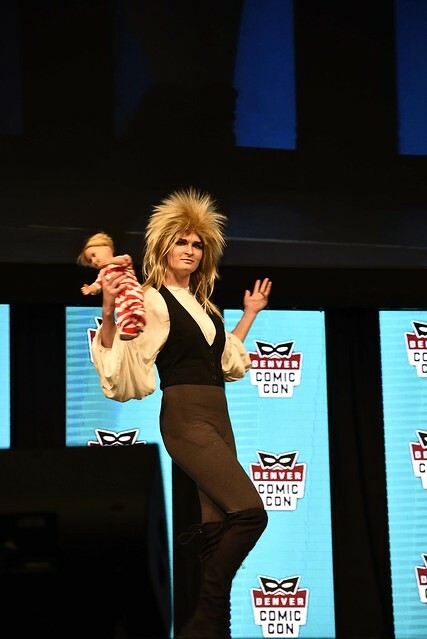 Limited to attendees 14 years of age and younger, this portion of the Costume Celebration is intended to promote the imagination of our younger attendees and give them a platform for positivity and costuming creativity. 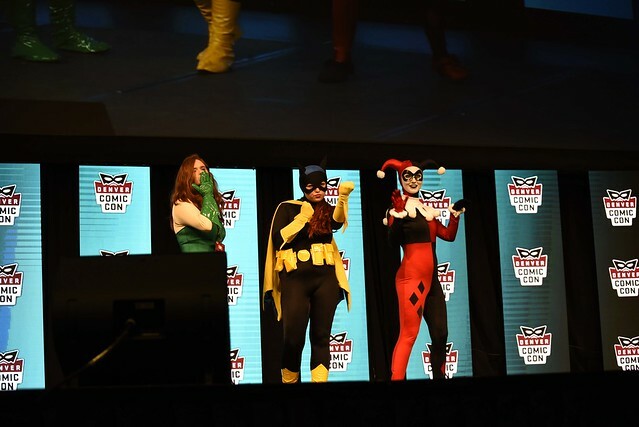 Regardless of whether they are showing off hand-made costumes, wearing a treasured store-bought Halloween costume, or sporting the latest cosplay craze, participants will be celebrated for just being themselves! 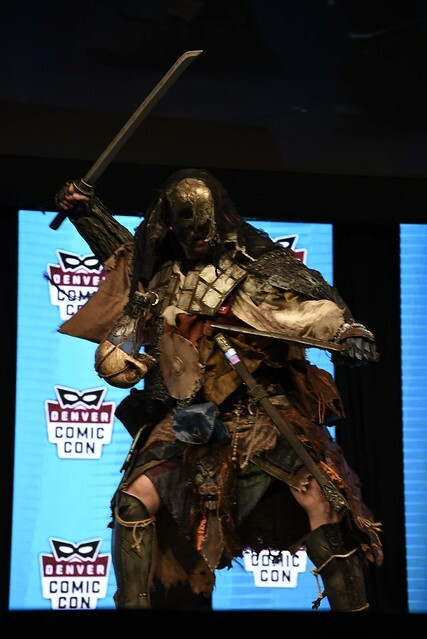 There is no competitive element for this portion of the Costume Celebration; all participants will receive a Denver Pop Culture Con/Pop Culture Classroom prize bag.